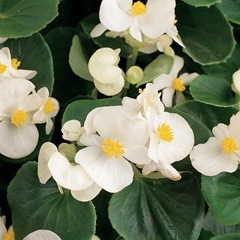 Green White Begonia have pure white blooms on green foliage. Begonias flower throughout the summer up to the first frost. 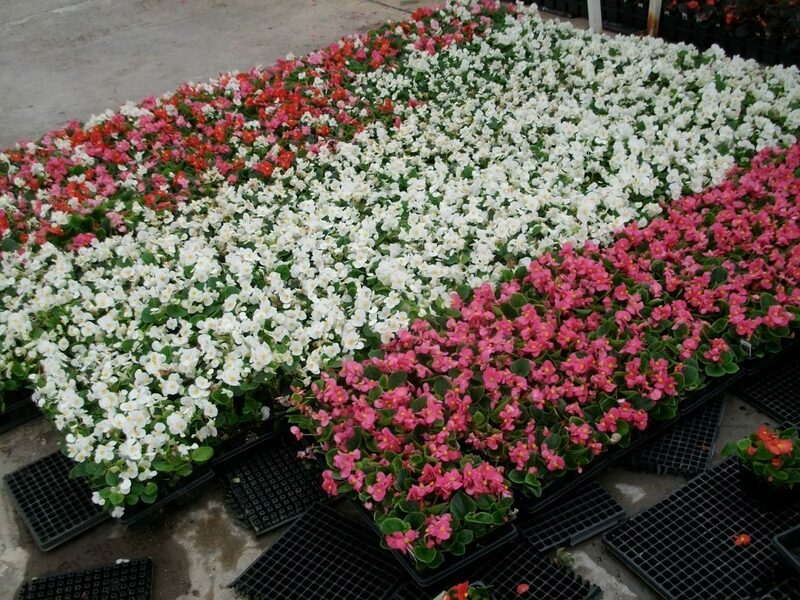 Few other annuals can beat begonias for hardiness and continuous flowering throughout the summer. Begonias with bronze foliage perform better in the sunnier locations while the other green-leafed varieties should be planted in the shade. They prefer moist, well-drained, fertile soil. Spacing: Plant 8″ to 10″ apart. Height: Grows 8″ to 12″ tall. How To Grow: Plant in full sun to full shade. Outstanding Features: They look best when used in mass plantings or as a border. Tips: Green White Begonia are tough and can survive a lot of neglect.